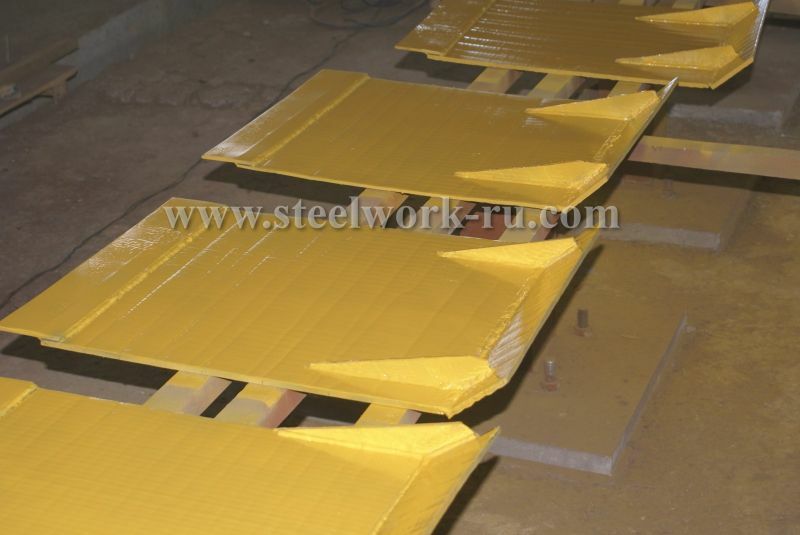 The core business activity of Steel Work Ru, OOO (Limited, Russian) is to improve service life and cost reduction for equipment maintenance in mining, steel, coal, concrete, chemical, power and other industries. 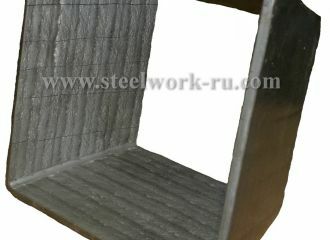 completely customized lining made of various wear resistance materials. 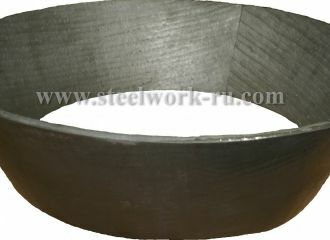 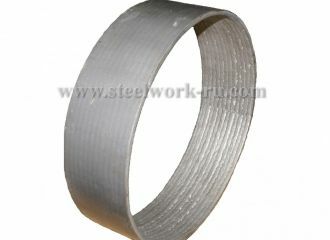 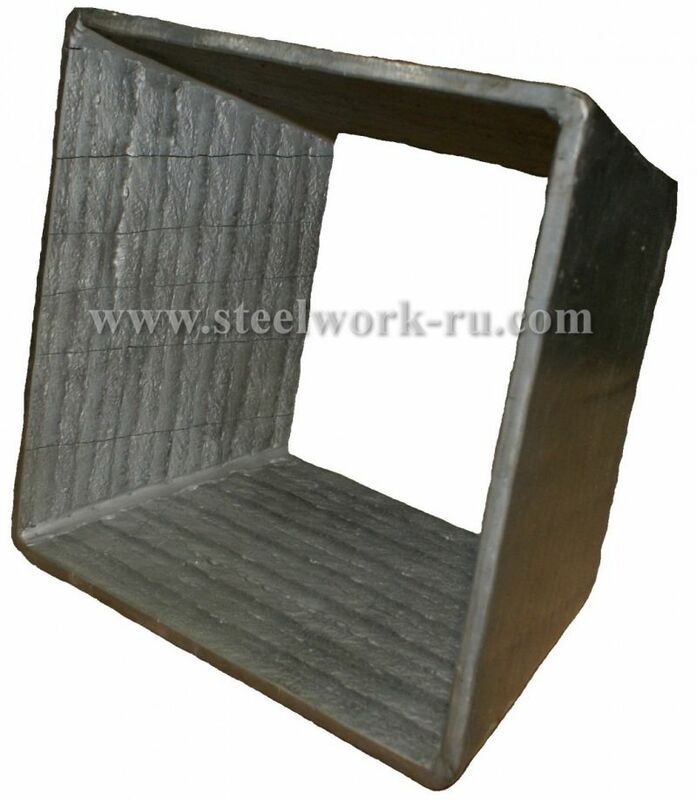 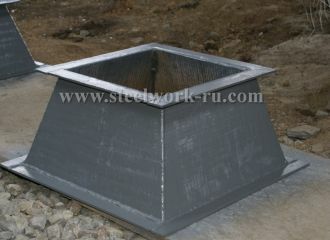 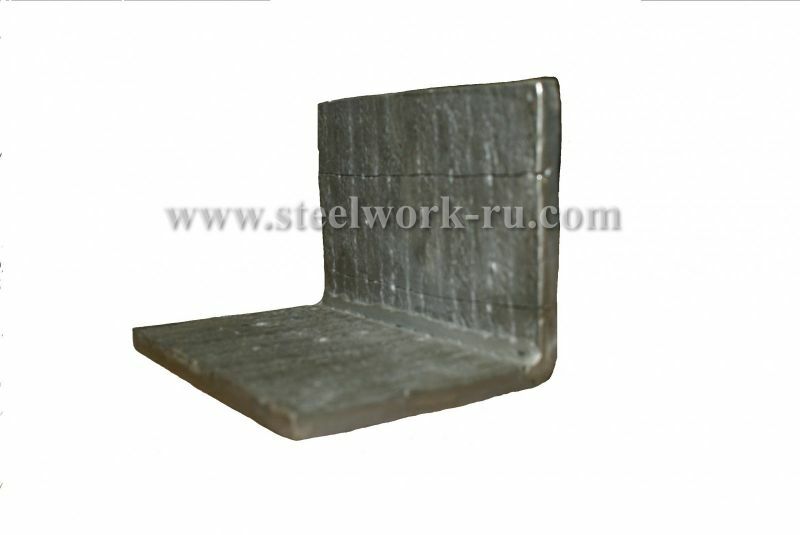 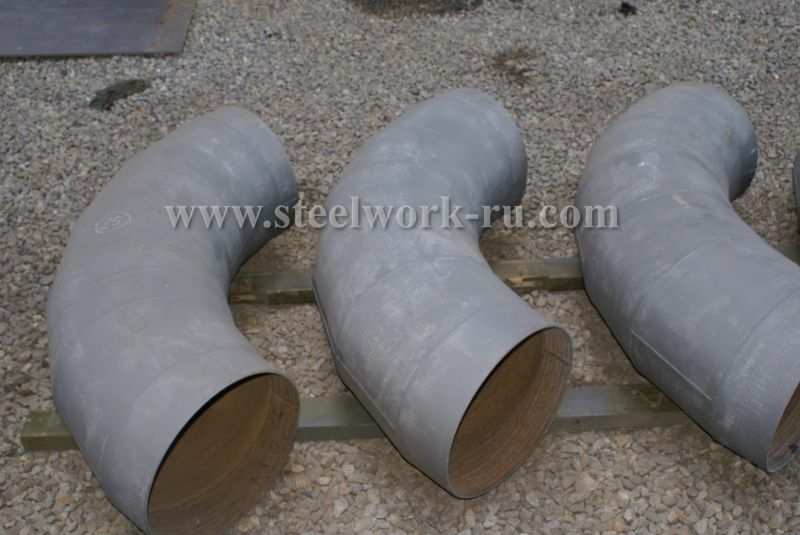 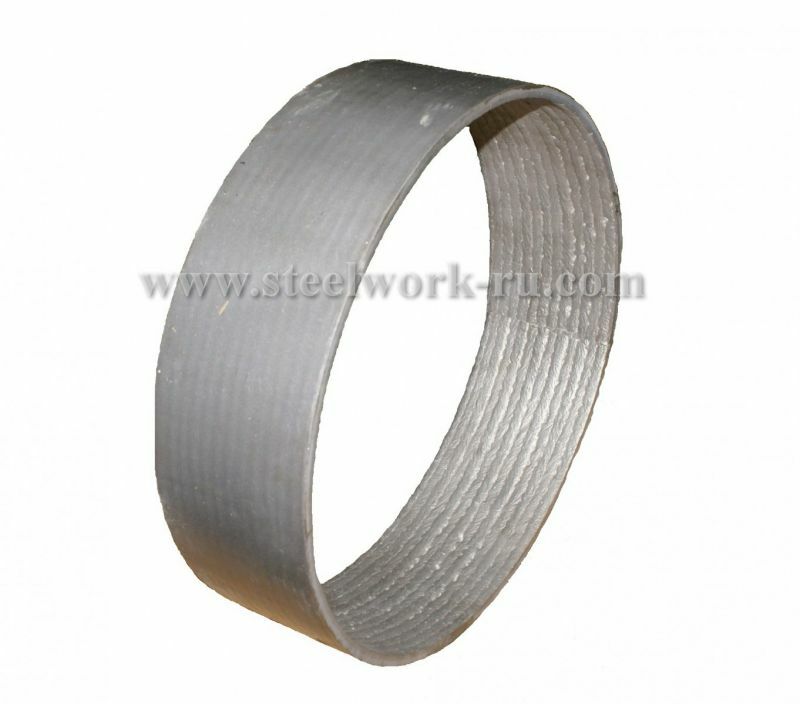 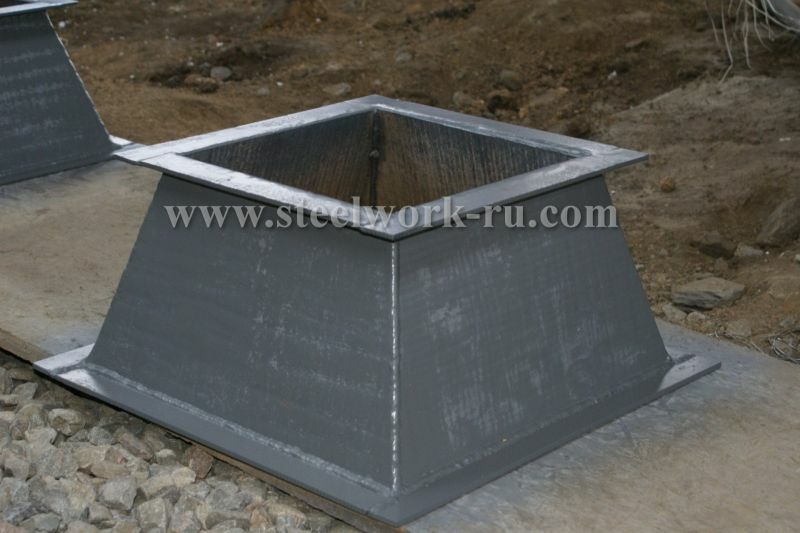 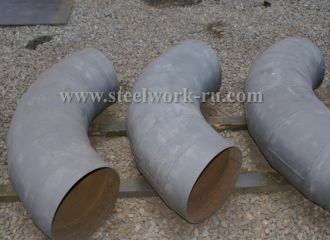 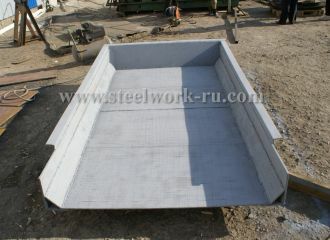 Assembling works are performed either by the Customer’s forces or by the crew of Steel Work Ru, OOO (Limited, Russia). Steel Work Ru, OOO (Limited, Russia) supply regular (1300*2800mm) SWIP® hardfaced plates, the hardfaced area (size of deposited area) makes 1300*2800mm. 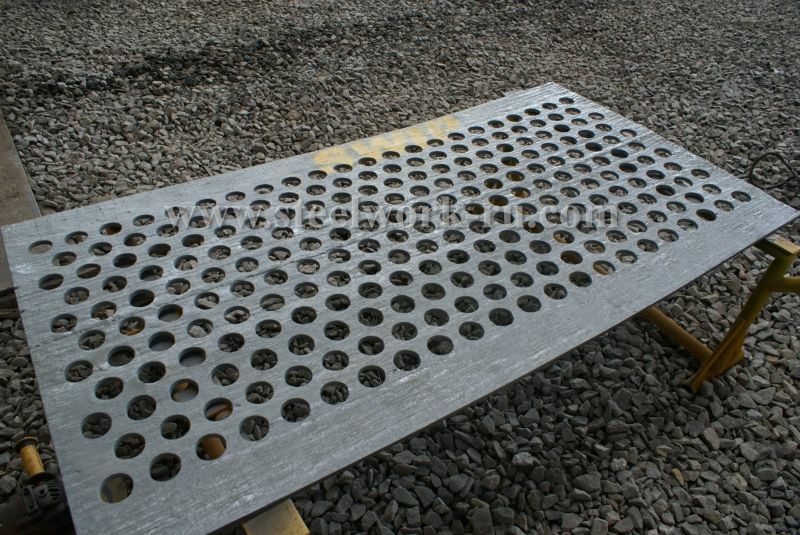 SWIP® hardfaced plates come in wide thickness range from 7 mm up to 80 mm (download a catalogue). 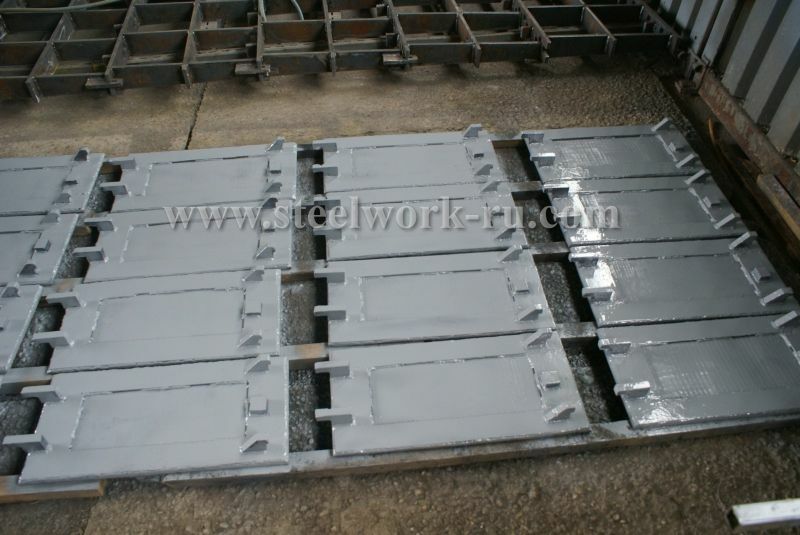 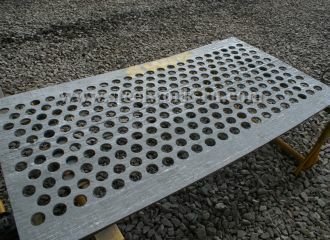 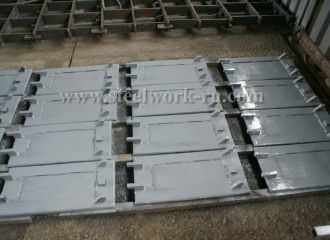 The Company supplies customized hardfaced plates in compliance with the Customer’s requirements. 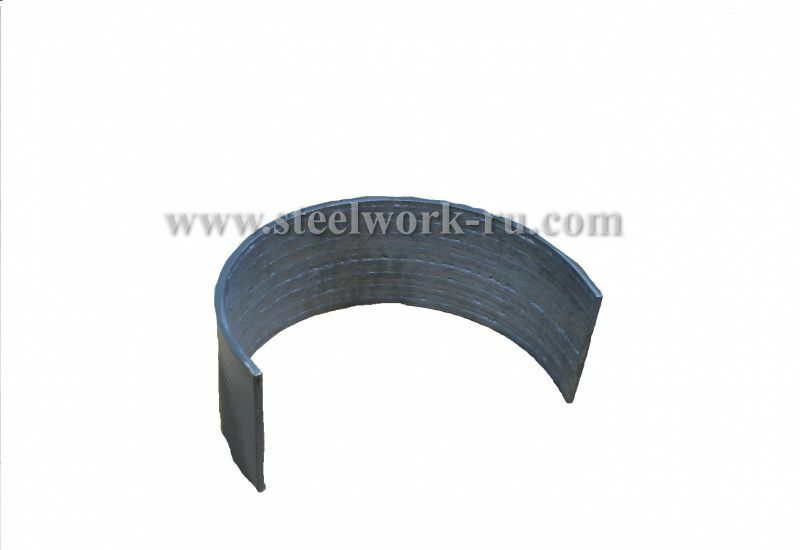 The specific design of the deposited layer of the hardfaced plate allows production of various steel structures with implementation of rolling and bending processes. The hardness of the deposited layer in accordance with Rockwell scale meets the terms of service conditions and can achieve up to70 HRC, the carbide hardness is up to 1400 HRV. The layer properties can be altered in hardness and resistance in order to meet the Customer’s requirements (download an inquiry form). 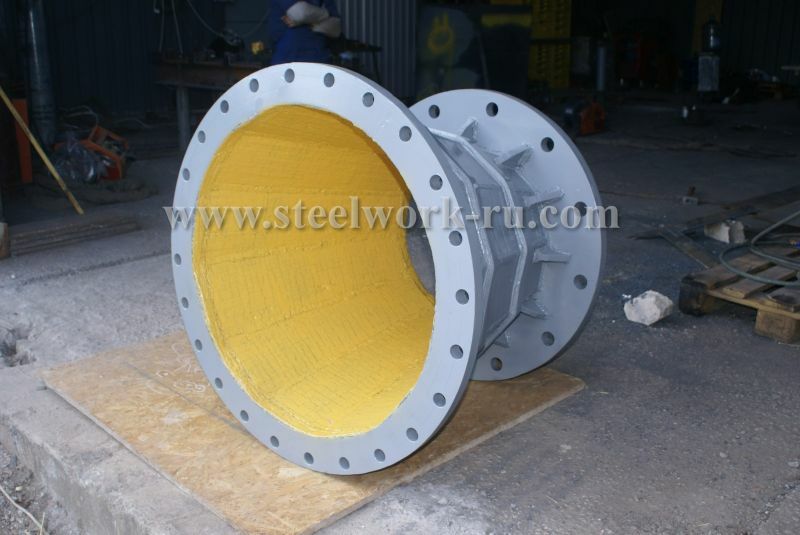 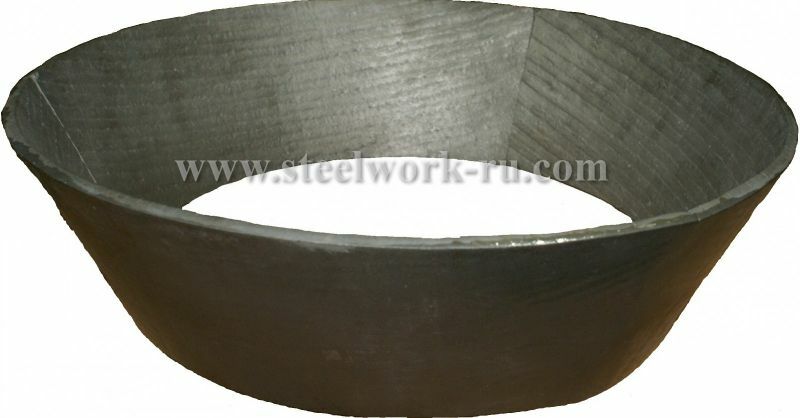 Steel Work Ru, OOO (Limited, Russia) supplies welded impellers produced by Steel Work, OOO (with exchangeable hardfaced blades) to replace the following blowers: Н7500, Н6500 and Н9000. 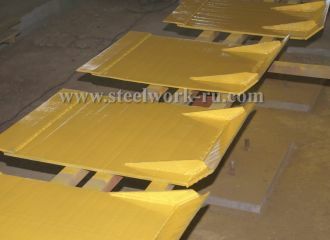 Hardfaced lining for customized equipment in compliance with the Customer’s designs. 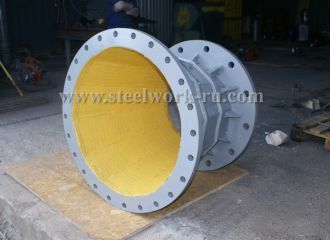 Hardface lining made of various wear resistance materials in compliance with Customers requirements.